Every aficionado of the game needs one of these. Our classic Newman Rugby Jersey is warm, comfortable and has the classic hallmarks of a traditional club jersey. Pick one up now for your sport/casual wardrobe from Canterbury. 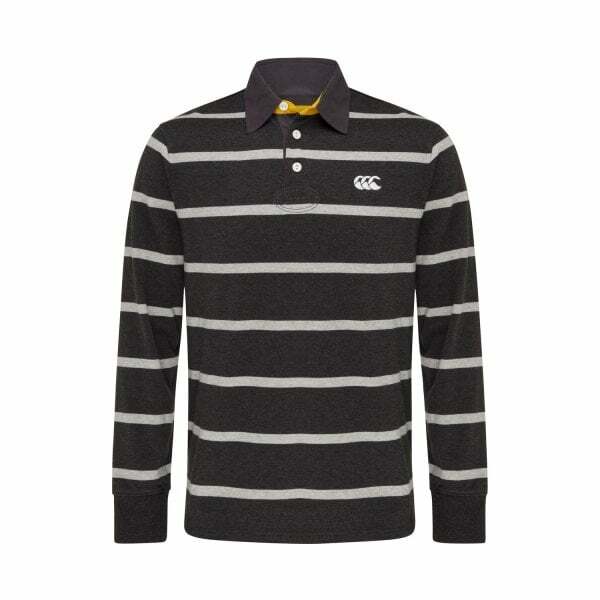 Stay warm and comfortable in Canterbury’s classic long sleeve contrasting striped Newman Rugby Jersey. Ribbed cuffs, button plackets and heavyweight cotton ensure warmth in the cooler months, whether you’re running errands or supporting the kids from the side lines. This classic rugby jersey features an embroidered Canterbury logo on the front left chest, giving it that extra touch of class and showing those around you you’re a dedicated follower of the game and a member of the iconic Canterbury community of players and supporters.